I am recruiting Ph.D. students to conduct research in the context of our new Center for Research in Intelligent Storage and Processing in Memory (CRISP). If you are an admitted CS, ECE, or SysEng Ph.D. student and you’d like to know more, drop me an email. 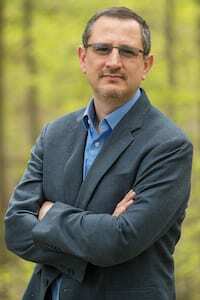 I am Professor of Electrical and Computer Engineering, faculty member of the graduate fields of Computer Science and Systems Engineering, and Faculty Fellow of the Atkinson Center for a Sustainable Future at Cornell. I am part of Cornell’s Computer Systems Laboratory. I am currently co-PI and the hardware theme lead for the Center for Research in Intelligent Storage and Processing in Memory (CRISP), and co-PI of Cornell’s Center on Durable, Energy-Efficient, Pausable Processing in Polymorphic Memories (DEEP3M). I am also co-founder and part of the Executive Committee of Cornell’s Initiative for Digital Agriculture (CIDA). I have been very fortunate to work with some extraordinary people, and as a result my research has received a number of awards over the years; among them: two IEEE Micro Top Picks papers; a HPCA Best Paper award, as well as MICRO and HPCA Best Paper nominations; a NSF CAREER Award; two IBM Faculty Awards; and a Distinguished Educator Award by the University of Illinois’ Computer Science Department (my graduate alma mater). On the teaching side, I have been recognized with two Kenneth A. Goldman ’71 and one Dorothy and Fred Chau MS’74 College of Engineering teaching awards; a Ruth and Joel Spira Award for Teaching Excellence; twice as the most influential college educator of a Merrill Presidential Scholar; and as the student-elected 2011 Tau Beta Pi Professor of the Year in the College of Engineering. I served as Editor in Chief of IEEE Computer Architecture Letters from 2013 through 2016, and in 2017 as Chair of the IEEE Computer Society’s Transactions Operating Committee, in charge of overseeing all of the Society’s journal publications. I was Program Co-chair (with David August) of MICRO 2009, and Program Chair of HPCA 2016. I am General Co-chair (with José Duato) of ISCA 2020. I graduated in Computer Science & Engineering (“Licenciado en Informática de Sistemas”) in 1996 from the Universidad Politécnica de Valencia, and earned MS (1999) and Ph.D. (2002) degrees in Computer Science from the University of Illinois at Urbana-Champaign. I received two national awards for academic excellence from Spain’s Ministry of Education, and came to the United States on a four-year fellowship from the Bank of Spain, for which I am forever grateful. While a graduate student at UIUC, I was inducted into the Honor Society of Phi Kappa Phi. I lead the M3 Architecture Research Group, which is part of the Computer Systems Laboratory, and it comprises both graduate and undergraduate researchers. If you want to talk, just stop by Monday 9:30-11:30am, or email me for an appointment. You do not need to be a student in my class or an advisee of mine; everyone is welcome.